Lock in a great price for Pousada Galeão Itacaré – rated 9.2 by recent guests! The breakfast was amazing! 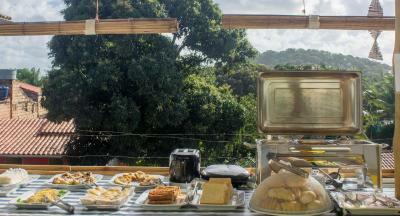 Different food every morning, home made and lots of Bahian local recipes. The couple who owns the pousada are lovely and always around to answer questions and recommend places to visit. The location was excellent, near the beaches and near all the restaurants. The neighborhood is super safe. A place with very nice workers and a really good location. The rooms are big and each rome has a really big hammock on the balcony which was fun to chill in. Our stay at Pousada Galeao was very pleasant, excellente value for money! The rooms are clean. The breakfast is outstanding: fresh and tasty. 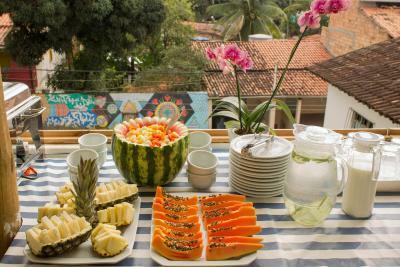 The best breakfast we’ve had during our one month stay in Brazil! The hosts are very welcoming and helpful. Would recommend this place! Easy access to the different beaches of Itacaré. Quiet and clean property. Staff amazingly nice and helpful. Situated at a min walk from the Pituba I street with all the shops and restaurants. If the electricity is working, there is a good air conditioning. Café da manhã muito bom, Boa localização da pousada, fui bem recebido pelos anfitriões. Boa localização, atendimento bom. Apesar de ser uma pousada simples, tudo foi perfeito. O café da manhã era muito bom apesar do local apertado e quente. O lugar da pousada muito bem localizado. Os proprietários muito atenciosos e dignos. Within 5 minutes' walk from the beach, Pousada Galeão Itacaré is located in Itacaré. A complimentary daily breakfast and free WiFi access is featured. Each room here will provide you with air conditioning and a mini-bar. Towels and linens are offered. They all open out on to a balcony. 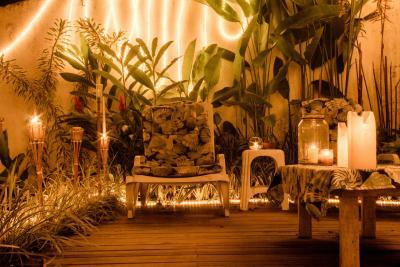 At Pousada Galeão Itacaré you will find a garden and a shared lounge. Daily maid service is also provided. The property offers free parking. The guest house is 2,200 feet from Itacare Bus Station. Engenhoca Beach is within 5 mi, while San Jose Beach is 2.2 mi away. This property also has one of the top-rated locations in Itacaré! Guests are happier about it compared to other properties in the area. This property is also rated for the best value in Itacaré! Guests are getting more for their money when compared to other properties in this city. 뀐 Located in the top-rated area in Itacaré, this property has an excellent location score of 9.6! 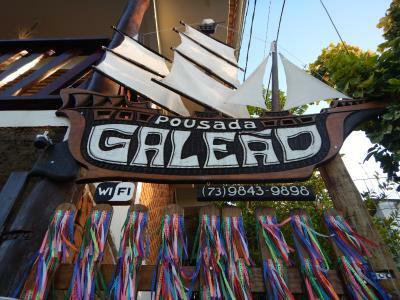 When would you like to stay at Pousada Galeão Itacaré? Opening out on to balcony, this room offers air conditioning and a mini-bar. WiFi is free. 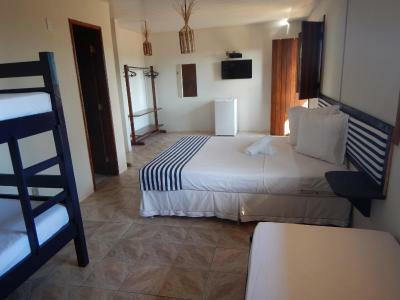 This double room features a balcony with a hammock, air conditioning, a mini-bar and a flat-screen TV. House Rules Pousada Galeão Itacaré takes special requests – add in the next step! Pousada Galeão Itacaré accepts these cards and reserves the right to temporarily hold an amount prior to arrival. The workers dont speak english sp way, but most of them knows spanish. Good location and staff really nice. Most amazing hostel we have ever stayed in! !